I’ve recently acquired one of those cute little bamboo coffee cups that you can re-use over and over again, and at the end of its life it composts down, apart from the rubber lid. It’s much nicer to drink from than a plastic or metal re-usable container or indeed the single use paper cups it’s intended to replace. It’s getting a lot of use, as I’m on the road a lot visiting clients’ gardens and after a couple of hours on site it’s safer for all concerned if I get my caffeine hit. It made me think just how many of the single use cups I used to get through – many of us have only recently realised that these can’t be recycled because of the thin inner layer of plastic. Which brings me to recycling in the garden – there are lots of ways that you can re-use things with a little creative thinking. Making your own compost is the obvious one, but there are lots of things you might normally throw away that can be pressed into service in the plot. Single use coffee cups: If you do find yourself needing to use these, don’t throw them out – rinse them, leave to dry and they make great little pots for seedlings once you punch a few holes in the base. Compsost and manure bags: If you cut these open when empty, they make great liners for terracotta pots. Terracotta, being porous, makes the compost dry out quicker, but the invisible plastic lining slows down evaporation through the sides of the pot. Milk bottles: The plastic litre and two litre bottles are good for plant labels. Cut up carefully with a sharp scissors to whatever size labels you like and write with a permanent marker. 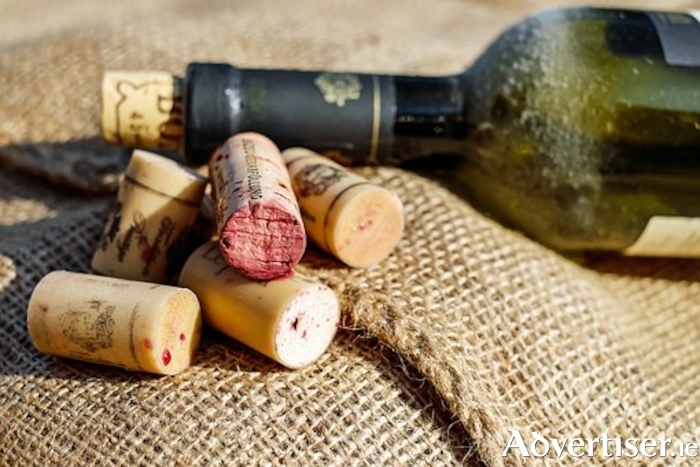 Corks: My favourite – you need to very carefully drill a hole in the bottom, then affix to the top of a bamboo cane for a plant support that won’t take your eye out if you lean over in the border. Many wine bottles are emptied in my garden for this noble cause. Cheers!